This wasn’t intentional, but we have another pertinent movie reference for you to check out…before the late Sir Roger Moore took on the role of MI6 (aka James Bond) he started his spy career actually as a modern-day Robin Hood in the U.K. TV series The Saint. 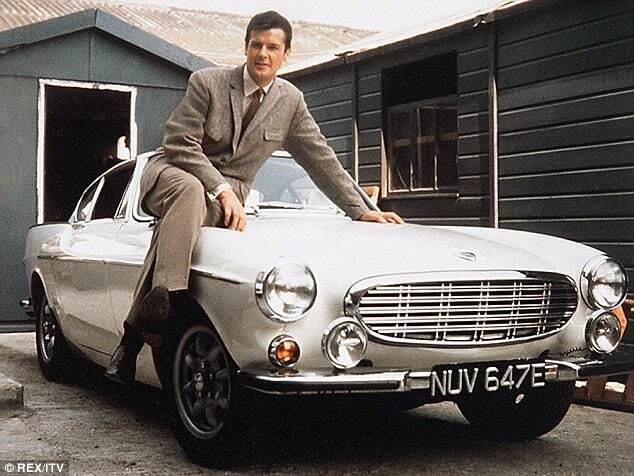 And thanks to Jaguar and their refusal to offer up their new E-type to the series, Moore’s character (Simon Templar) drove a pearl white 1962 Volvo P1800. Early production attempts started in 1957, Volvo hoped the Karmann group would take on building it but Volkwagen stepped in to prevent this from happening. Compare the lines of the 1800 to the one you’re thinking about and you can see why they were a bit protective. 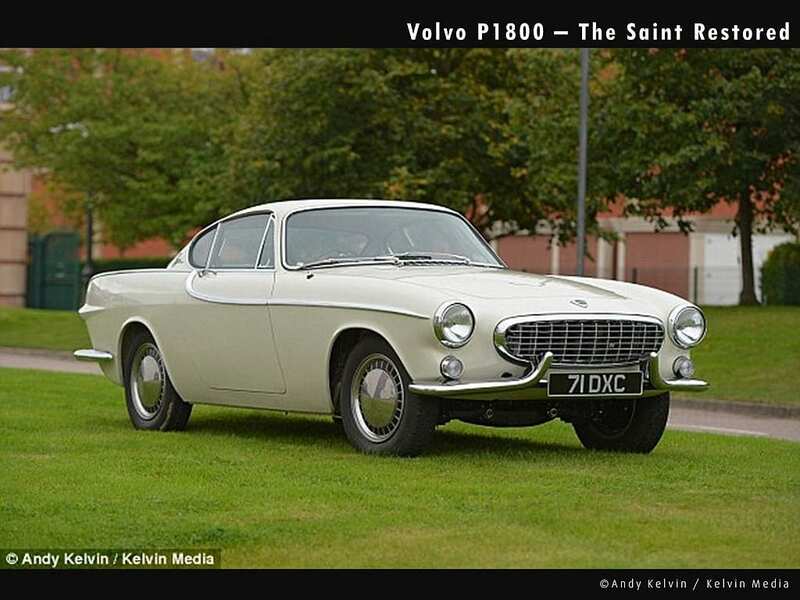 Volvo would eventually reach an agreement with Jensen Motors who needed to fill some production lines, and so the Swedish born P1800 first came to life partly in the U.K. as a 1961 model. Production would eventually move back to Sweden in 1963 and pick up the “S” designation, though not for the more typical “sport” or “special” denotation but rather for ‘Sverige’ (Sweden). Over the next 10 years, the 1800 would go through a few more changes and lettered designations, and there was even a two-year run of station wagon (ES) version. In 1973, production of this iconic glassed-back sports-coupe-wagon ended for the 1800…with about 48000 examples hitting the roads. Lucky for us Volvo appreciated the nostalgic all-glass backend and recreated it with the building of the C30 in 2007. 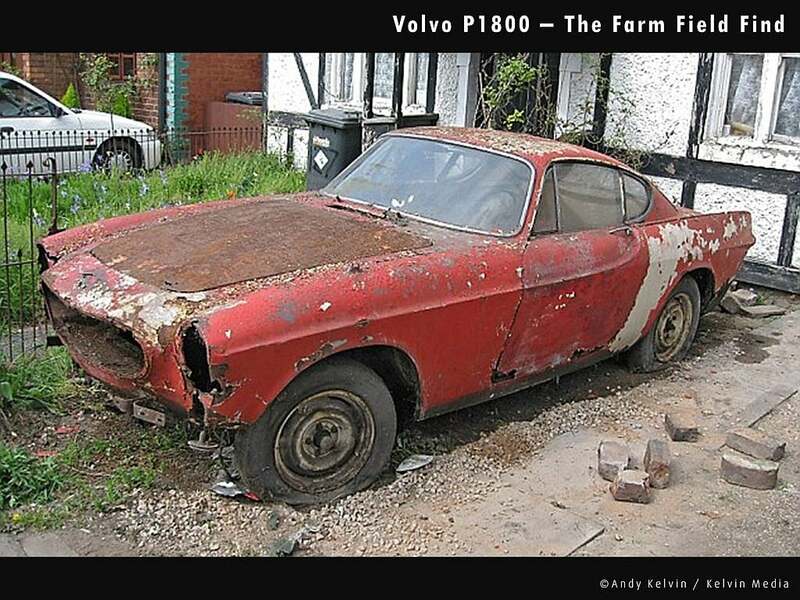 The original P1800 Templar drove was found in 1991 in the farm fields of northern Wales rotting away with the engine nestled in the rear seats. After a 6-year courtship with the owner, Kevin Price convinced the farm owner to sell. And after 16 years of parts hunting, paint sanding, and lots of bloody knuckles, the original and believed to be the actual first one used in the series was fully restored and shared with the public. What to look for? Rust. Look again, and look some more…frame sections, floors, behind/under the headlights, radiator support frame, sway-bar mount, rockers under the doors, fenders and quarter panels and windshield frame. So how is it as a daily? 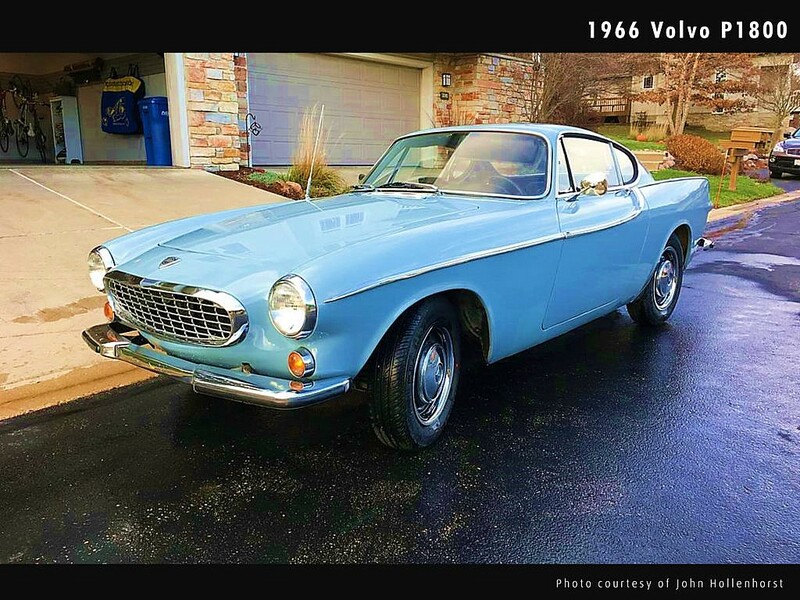 Although here at Second Daily headquarters we are HUGE Volvo fans and owned many of them throughout the years, we’ve never been lucky enough to have a P1800 in the garage. We have read that ventilation can be poor and so summer driving might not be for those with over-productive sweat glands. Some trim parts may be hard to come by so don’t park next to that Excursion with fender dent rust on it. Ride quality reports are hit or miss, perhaps when new they were road compliant but through the years may degrade. Steering can be a bit heavy (no power steering), brakes ranked just ‘ok’…and did we mention they’re hot. Like with other glass hatches, there can be a tendency to produce the greenhouse effect inside during the heat of summer. But just look at it…arguably the sexiest Volvo ever made. Roger Moore said one of his all-time favorites was the 1800…we agree whole-heartedly. Unfortunately though for us, values on these are on the rise and we’re not sure where they will land. Currently expect to pay at least $14000 for a decent example, and well over $20000 for those in better condition. Check our For Sale section for some recent examples out there currently on the market. Write to us with your comments and “Report Card” ratings on maintenance costs, availability of parts, cruising speeds, etc. We’d love to hear from you. HAVE ONE? Post about it. 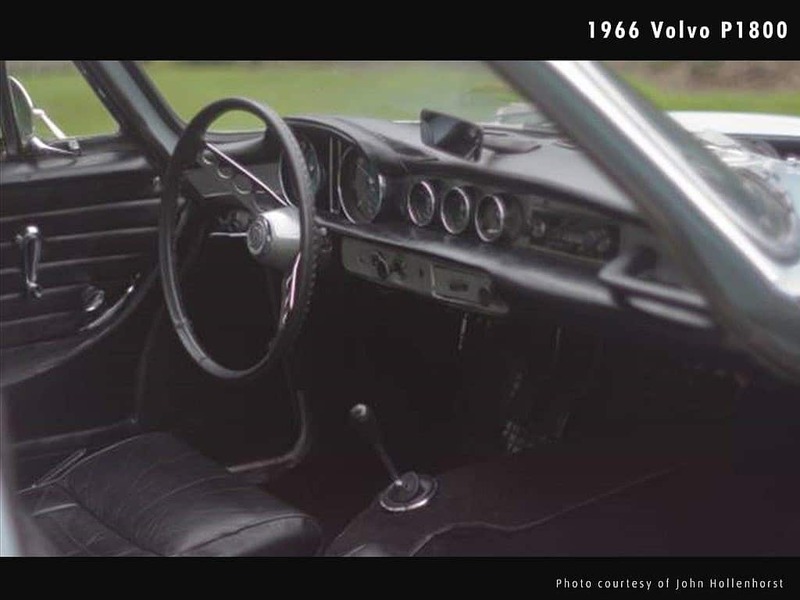 This entry was posted in Swedish Classics and tagged 240, C30, E-type, Jaguar, P1800, Volvo. 34th annual Hemmings Motor News Great Race is Underway! FLAG comments if they are inappropriate using the FLAG icon in the upper right of the comment box. THUMBS DOWN simply to say “I politely disagree”.